Second post here. Third will be coming sometime soon hopefully! 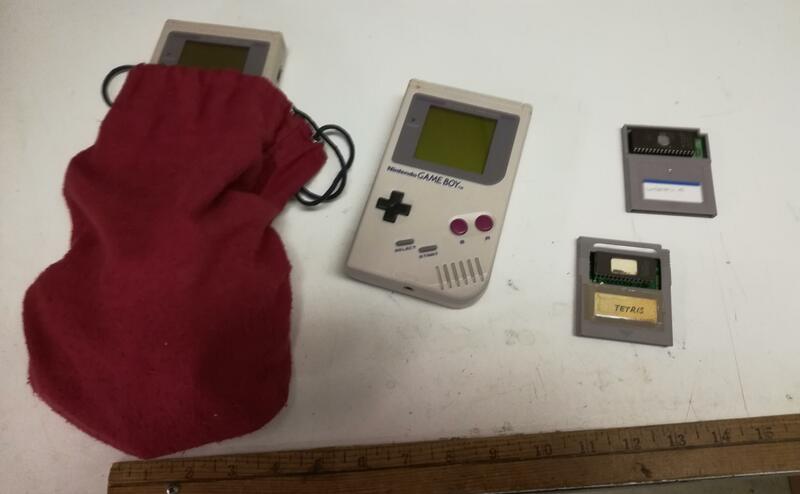 A few weeks ago a friend and I discovered a lot which consisted of a red pouch, two Game Boy systems and two prototypes. One of those prototypes was Tetris. It seems to be an early prototype cartridge shell and looks to be being held in place by the eeprom. Instead of the top portion of the shell missing, there is simple a hole cut for the eeprom in the Nintendo logo. On the back is a long red strip simply saying "SAMPLE". Unfortunately the game is final and matches up with the version 1.0 release. My friend and I thought we had stumbled upon some sort of super early Tetris because for the short time we played it, the music was different. But that was simply because we both didn't know there were any other revisions as I owned version 1.1. Maybe we need a little more research next time haha. The second prototype which came with it will remain a mystery for now. Expect another thread if I manage to get that one up and running and dumped. Hopefully it will still be playable because of the lack of a sticker over the eeprom. Only time will tell. The label for it states that it's version 6 so hopefully it has some differences. So far you can view the scans or download the Tetris sample on the site here. Thanks for reading through and wish us luck for the other prototype! Small update from yesterday. We managed to get the other prototype working, Wordtris. Not that popular of a game...I know. But see it here!